I made it several times in different variations, depending what I did have on hand at home. The summer is the perfect time for light, cool, refreshing meals. 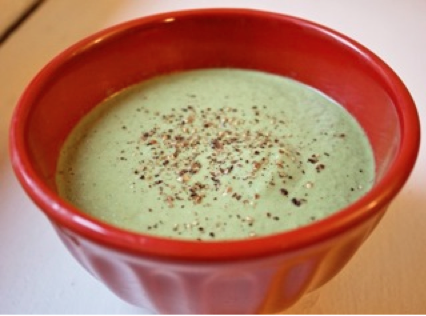 A raw soup, which is completely uncooked, is extraordinarily nutritious and easy to make in your blender. It’s very important to include raw vegetables in your daily diet as they still have all of their natural enzymes and nutrients intact. Heating destroys some of these compounds. I also urge you to buy organic when you can. Your exposure to pesticides will be much greater if you’re eating a lot of non-organic produce.